Private boat charters in Turks and Caicos, North and Middle Caicos. Small group and personalized boat trips. Excellent snorkel equipment, boats, dive and eco-tour instructors. Half-day and Full-day adventures around the Caicos Islands. Wonderful Snorkeling Tours! Full day Island hopping adventures with beach BBQ. Half day snorkeling tours includes conch hunt & beach cruising. Specializing in intimate private charters. We offer a wide variety of exciting fishing charters, fun boat cruises, and incredible tours around the Turks and Caicos Islands. 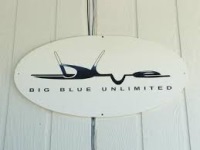 Give us a call and in return, we will give you a fun-filled day that you will remember forever. We specialize in Eco-friendly, low-impact whale watching/ swimming (Jan-Apr), scuba diving, Stingray tours and snorkeling around the tropical warm waters of Grand Turk and Salt Cay. Lady K “Barefoot Luxury” Yacht Charters, a must to do while visiting our beautiful Turks & Caicos Islands. Come Experience the fine touch of our Turks & Caicos Luxury Cruises, cruising along the Spectacular Beaches stretching from Little Water Cay, Pine cay and Parrot Cay; or visit our sister islands, remote, untouched and pristine, such as West Caicos or French Cay; or just Design your own custom adventure and luxury Cruise. We now have two boats to serve you: our 40-foot power catamaran, the glass-bottom Reef Peeper, and our 48-foot sailing catamaran, the elegant Island Magic. We take you snorkelling on uninhabited islands where we hand feed the stingrays. We’ll teach you to snorkel and free dive for sand dollars off North beach. 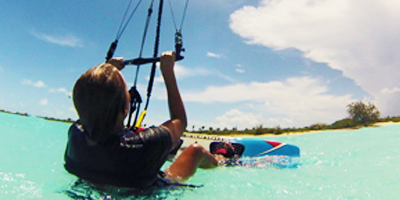 TCI’s only outdoor adventure school and watersports company. We offer ecoadventure-based, educational and unique programs such as kids camps, scuba, snorkeling, private boat charters, wakeboard and waterskiing, swim lessons and coaching, kiteboarding, SUP and PaddleFit, kayaking, island tours and nanny services. We offer multi-day adventure packages and can customize anything! Small group sizes only- up to 10 persons max on any adventure.